My company specializes in various types of fast continuous screen changer, fast screen changer, duplex board changer and so on, using a fast-changer with the replacement group net method does not require downtime and cost of labor. 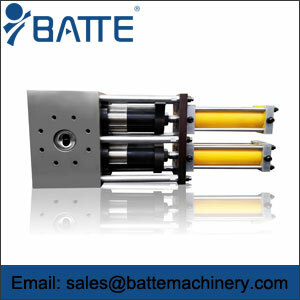 The quick changer design is divided into two main types: interchangeable and continuous. 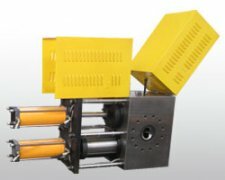 Board duplex filter channels work alternatively for network very quickly, ease of production and maintenance. 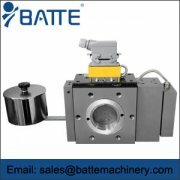 The machine uses a regulator sealed unit to meet any high extrusion rate of polymer production, can be used with different criteria used in conjunction with extruders. High wear resistance, high compressive strength, high-precision filter design, increase the effective area of ​​quality and filtering. Pressure 25-30Mpa, at a temperature of about 300 ℃, and does not affect the performance in use. Almost all of the polymers can be used to rapidly replace, such as: PS, PC, PMMA, PE, EVA, PET, PU, ​​PP and so on. Interchangeable changers two are identical in the same group. One of which is mounted on the melt flow path. When our network group is dirty, clean with another set of the same group to be replaced. Meanwhile, the same group to get out of the old replacement. Two network group installed on the same steel plate, about an axis of rotation, or slide along the rail line. 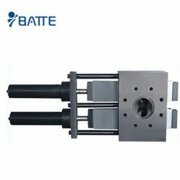 The former rely on the lever for manual operation, which hydraulically from one side to the other side of our Mobility plate slide back and forth. Another changer operation with a valve, so that the melt from blocking reverse flow of the same group with the new group. 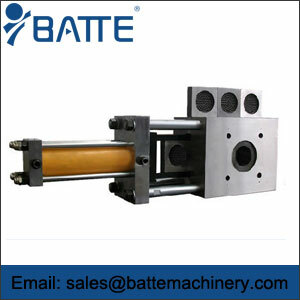 A set of continuous screen changer is rotated according to the corresponding slide design. 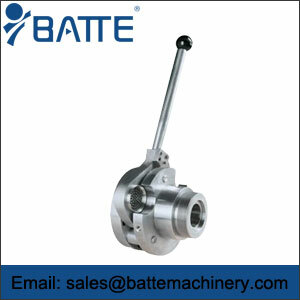 Some network group arranged on the periphery of the ratchet wheel mechanical drive. Our rotating turntable, used the old with the group removed from our melt flow out, prior to contacting the melt flow, a new hand to put in the same group.